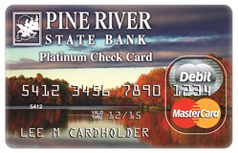 Our Platinum Check Card can be used to make purchases, but also has all of the functions of our ATM card. 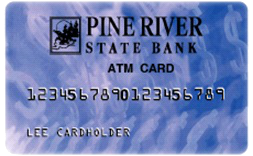 When a transaction is being processed through a foreign country, your debit will only work if the card is physically swiped at the time of the transaction. 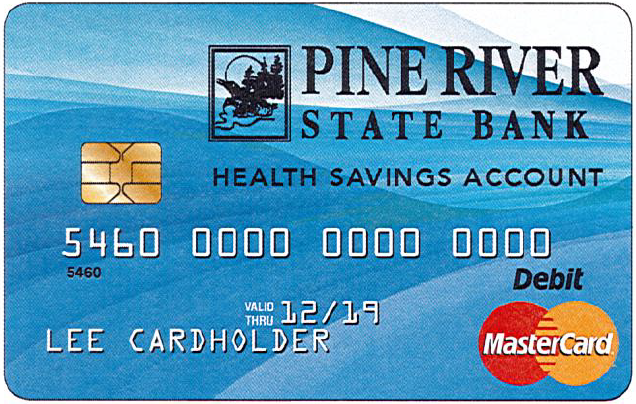 Looking to Apply for your Pine River State Bank MasterCard Debit Card, ATM or HSA Card? Click below to print an Application. Subject to Approval.